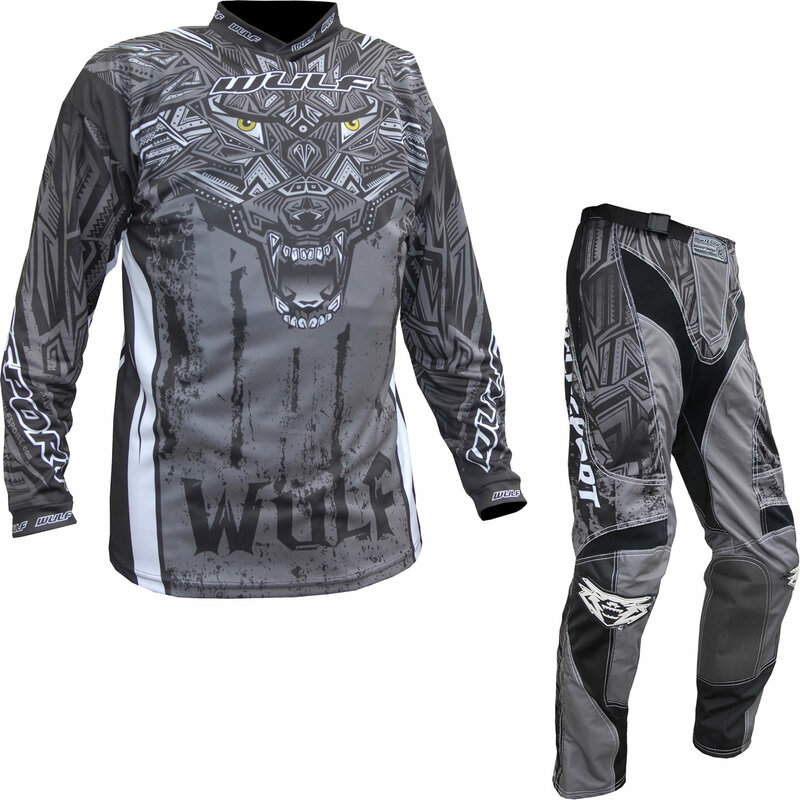 The Wulf Aztec Adult Motocross Jersey & Pants Grey Kit is part of the latest Wulfsport collection. View all Wulfsport Motocross Kits. View all Motocross Kits. 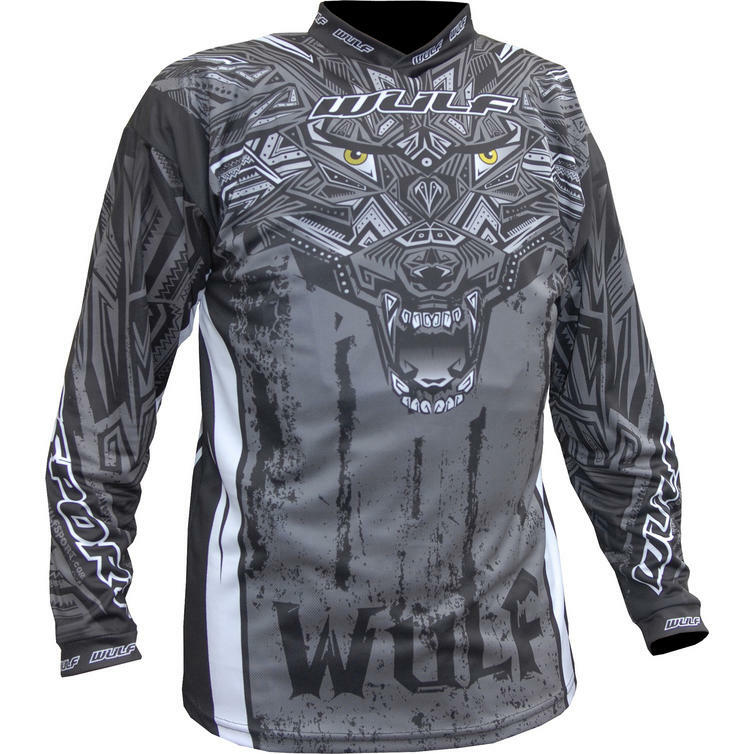 Motocross jerseys are designed to fit over body armour and are therefore bigger than a T-shirt of the same label size. These measurements are of the jersey itself. 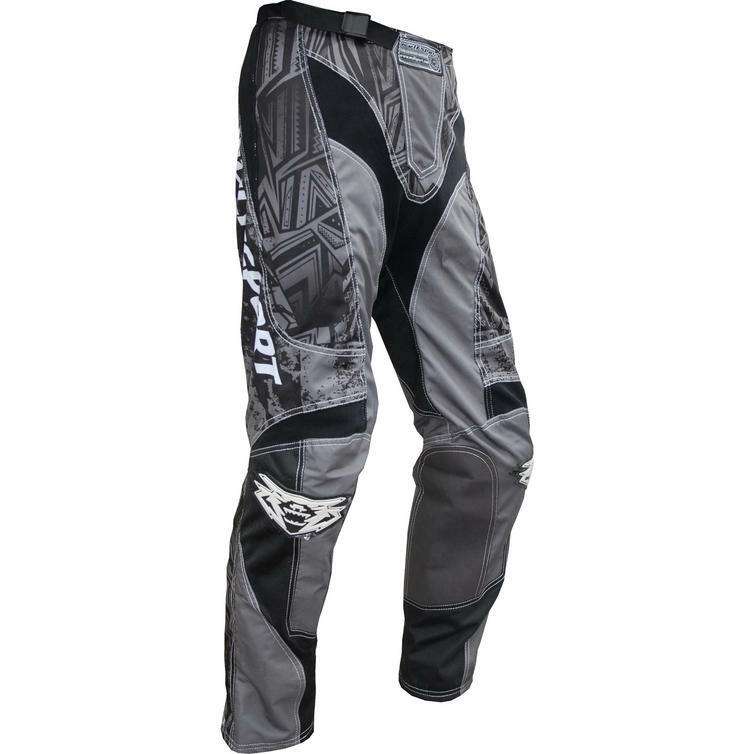 Chest size 43" 46" 49" 51" 54" 60"
Inner Arm 20" 21" 22.5" 23" 23" 23"
Back Length 29.5" 31" 32" 32" 35" 35.5"
Motocross pants are designed with slightly shorter legs to fit inside Motocross boots without bunching up. These measurements are of the pants themselves. These pants have an elasticated waist with tighteners for extra adjustment. The waist sizes below are the unstretched and stretched measurements. Inside Waist 26"-31" 26"-36" 28"-39" 30"-41" 31"-42" 32"-43" 34"-49" 35"-51" 38"-52"
Around Thigh 23" 26 26" 26" 28" 30 30" 30" 32"
Inside Leg 28" 29" 29.5" 30" 32" 32" 32" 32.5" 34.5"